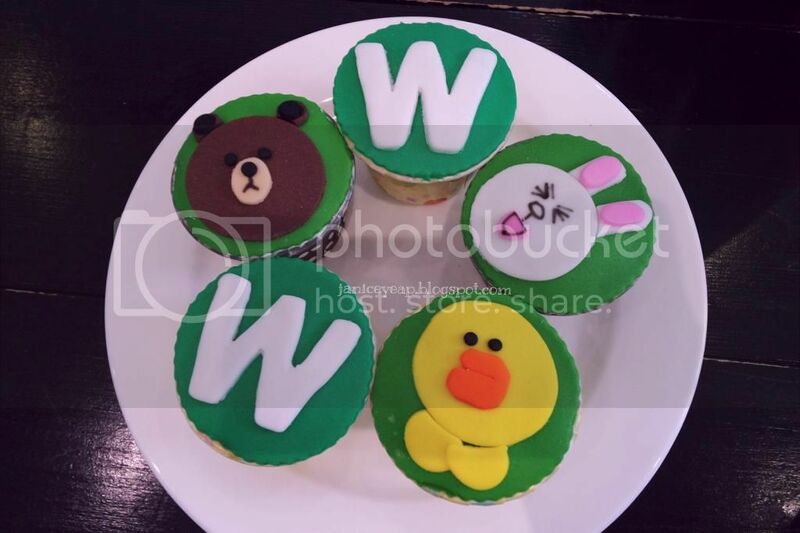 Watsons, the leading health and beauty retain brand began on the official account with LINE, the world's leading life platform to enhance its customer loyalty programme. The official account will be the new portal to connect with customers and members on the latest members' benefit, offers and rewards in a fun way. It's always their goal to design a unique loyalty card programme for their customers not to only enjoy benefits at Watsons' stores but beyond one-stop solution for our customers to shop and travel by introducing the Watsons VIP Card with Touch 'n Go feature. Other than that, they also launch their Watsons Dining Privileges whereby the members can enjoy discounts up to 20% in over 90 F&B brands at over 600 outlets nationwide. 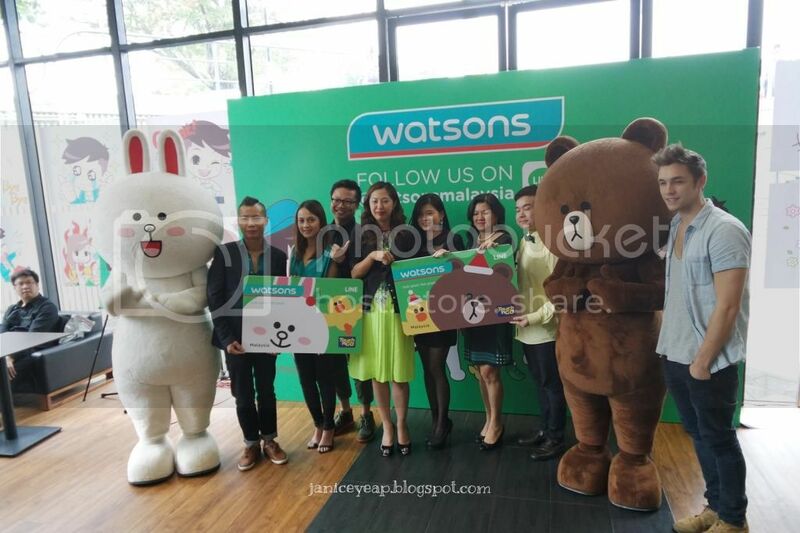 In conjunction with the launch, Watsons Malaysia also created a set of LINE stickers for customers to download when they follow the official account. The set of stickers created represent Watsons' identity in health and beauty and it provides a way for users to express their emotions. 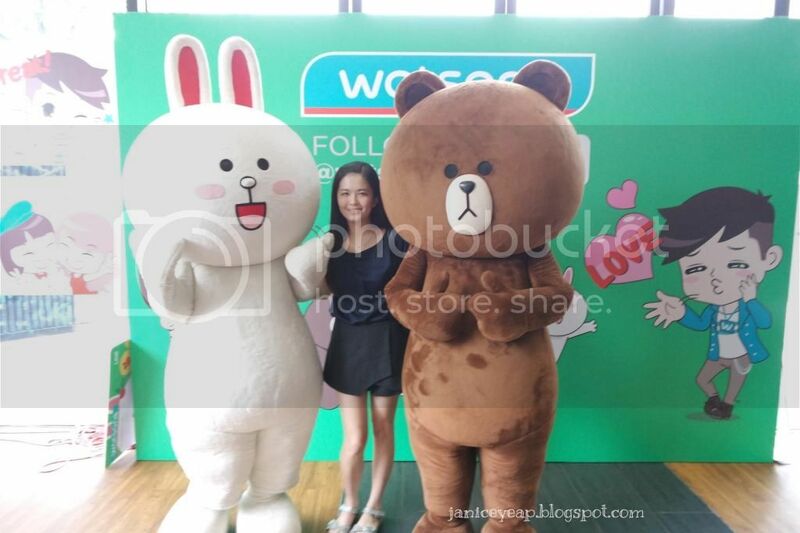 A photo with the LINE characters, Cony and Brown! 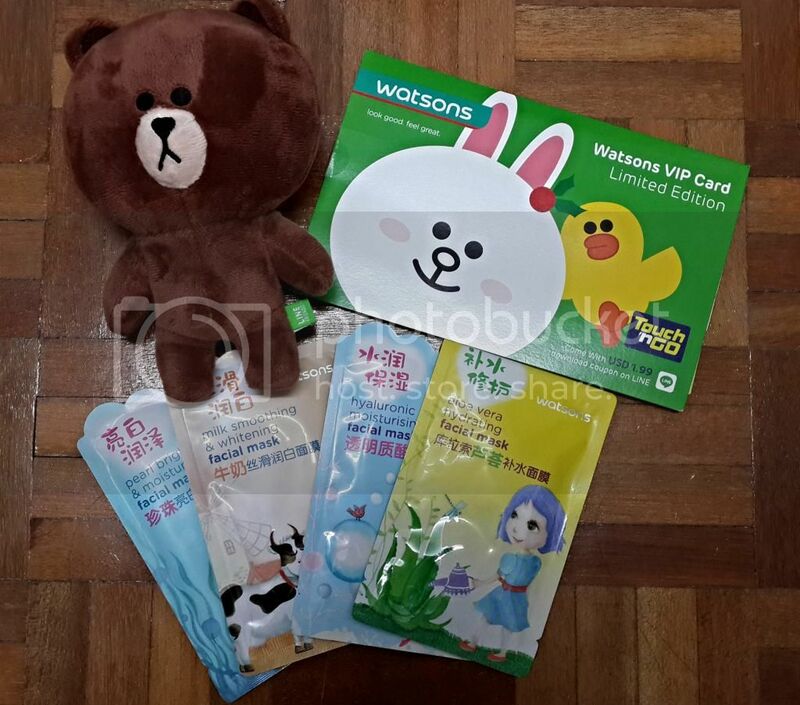 To bring the famous LINE characters to live, Watsons Malaysia has launched the Watsons LINE Limited Edition Card with Touch 'n Go feature and it comes with 2 collectible designs but also comes with a set of USD1.99 worth LINE stickers and preloaded with RM5 worth of Watsons points for new members. At the launch event, Watsons' celebrities' friends - Reem Shahwa and Mark O'Dea was present to share their experience and journey of being Watsons VIP members. Also at the launch, Watsons Malaysia Managing Director, Kulvinder Birring, Watsons Malaysia Marketing and Development Director, Jessica Ng and Watsons Malaysia Marketing Controller, Danny Hoh who were joined by Benjamin, Wind, Reem Shahwa and Mark O'Dea on stage for the photo opportunity session together with famous LINE characters, Cony and Brown. These Watsons LINE limited edition cards are priced at RM20 and are only available at selected Watsons' outlets such as Watsons Midvalley, KLCC, Sunway Pyramid, One Utama, Alamanda, Pavilion, AEON Station 18, AEON Seremban 2, Queensbay Mall and JB City Square.